Thanks to Camps Caribou, Runoia and Wyonegonic for contributing to this blog. 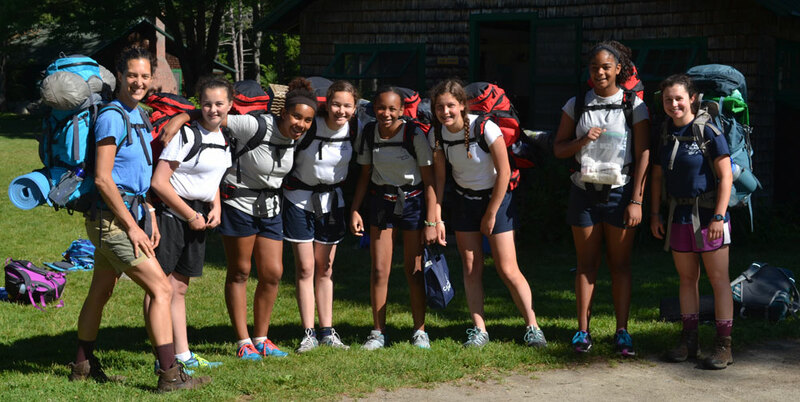 Maine Camp Experience camps have provided amazing growth experiences for youth for over 100 years. For older teens, some camps offer a training program where leadership skills are emphasized and taught, preparing teens for future roles, careers and jobs. These are typically for teens ages 15-17, depending on the camp, where they learn from A – Z about being a camp counselor. Some camps offer Lifeguard Training, Junior Maine Guide program or sport-specific certifications like Archery Instructor Training or Certified Horsemanship Association levels. These marketable skills are great resume builders and moreover, they are great confidence builders. Self esteem increases through building skills in public speaking, working with a group of children, practicing teaching, planning and organizing special events, evening programs, organizing community service opportunities and making the difference in a child’s life. Over and over again for a summer of life learning. Because the experience can be life changing. You gain a sense of yourself and what you want to do with your life. You grow as a leader and experience responsibility in a new way. Immersed in the camp community you learn time-management skills, planning and organizational skills. Being around positive adults you develop your own sense of responsibility, and learn from them. You feel a sense of accomplishment like never before – your confidence increases and your life skills develop. You have a better chance of being hired at a camp after successfully completing the program, too. And it can open doors to future careers. Is it open to the public or did you have to be a prior camper? Is there full tuition or a reduced cost for the program? Do CITs live as a group with a counselor or do they live in the camper bunks and meet with their director on a regular basis? What skills and certifications should you expect to get from the CIT program? Does the day consist solely of CIT skill-based teaching activities; or does the CIT also get time to participate in regular camper activities; or both? Is it a full summer or can you attend part of the summer as a CIT? *Check with your Maine Camp Experience camp for specific details on how their CIT program works.